Pop star Andy Grammer will perform on CBS This Morning tomorrow morning, August 17th. Grammer will sit down with host Gayle King to talk about his career, rising from his roots singing on the streets to becoming one of pop music’s biggest names today. the interview comes fresh off the heels of his appearance on CBS’ daytime talk show, The Talk. Along with his performance tomorrow morning, Grammer will also be performing on Jimmy Kimmel Live next Tuesday, August 21st. He will be performing his new single, ‘Miss Me’, which hit radio just last week. In just its second week on air, ‘Miss Me’ is the number one most added song on adult pop radio. this latest achievement comes as Andy continues to tour in support of his self-titled debut on S-Curve Records. He’s currently touring alongside fellow pop act, Train. 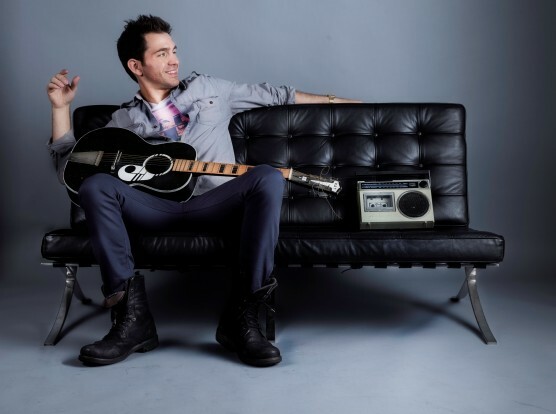 Fans can get a full list of Andy’s tour dates by going online to http://www.andygrammer.com, http://www.facebook.comandygrammer, and http://twitter.com/andygrammer.